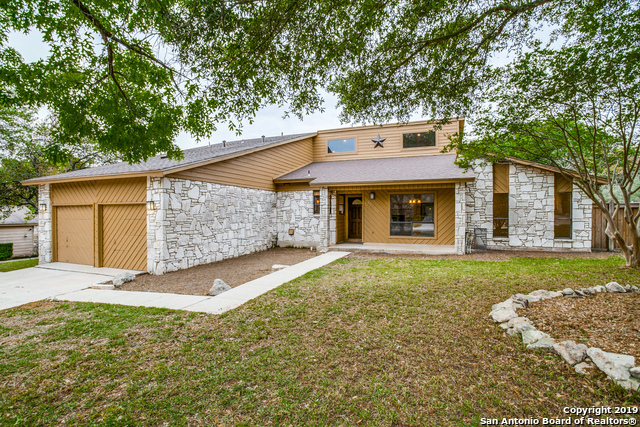 All Green Spring Valley homes currently listed for sale in San Antonio as of 04/22/2019 are shown below. You can change the search criteria at any time by pressing the 'Change Search' button below. "New Roof - Vacant - 4 Sides brick -Tile throughout downstairs - Pretty fireplace in family room - Kitchen window, lots of cabinets & counterspace - Chair rail at breakfast - Big walk in pantry/utility room - Refrigerator, washer, dryer included - Inside is immaculate - Air Conditioning & heating less than 2 years old - Lots of ceiling fans, raised panel doors - Neighborhood has a 32 acre nature park, jogging trails, picnic area, adult & a child's pools, 2 lighted tennis courts, playground & bask"